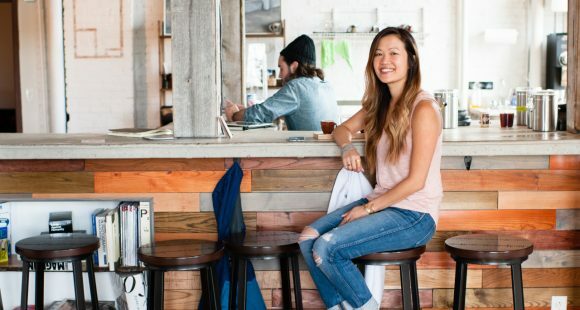 RYP Interviews Sir Rocha Says | Rochester Young Professionals, Inc.
Down-to-earth, passionate, and well-respected, Linh Phillips is the founder and author of Sir Rocha Says, a blog that enthusiastically spotlights Rochester’s diverse food & drink scene. Sir Rocha Says’s Instagram account features over 11,000 followers, her Twitter recently won ROC City News’s Best Local Twitter award in 2016, and her impressive website was nominated for ROC City News’s Best Local Website. With a “core mission to help others fall in love with Rochester,” Linh’s passion for Rochester and food is directly reflected in her tasteful photography, writing, and involvement with the community. Since the blog’s beginning in October of 2014, Sir Rocha Says has been featured in a variety of different publications and media sources including Accent Magazine, Democrat & Chronicle, Dixon Schwabl’s One More Thing Podcast, The Post, Roc Girl Gang website, Rochester Advertising Federation, WHAM1180 Food & Wine Show, and WXXI News. 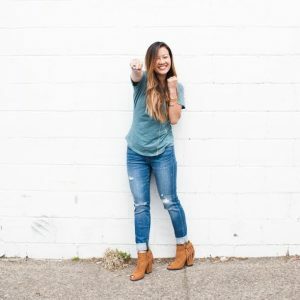 Additionally, Linh has been fortunate to lead a Tedx Talk at Allendale Columbia, hold a seat on the Tweet, Drink, & Be Merry Panel at the Upstate Social Sessions Conference, and lead a social media workshop with the Becoming Boss Series at Roc Girl Gang. Linh Phillips is inspiring Rochester young professionals one meal at a time. Keep an eye out for her at local foodie events, and consider yourself fortunate if you get the opportunity to have a conversation with her! Local Rochester native and proud ambassador of our city. By day, I’m a wine & spirits market researcher at Constellation Brands, by night I’m the founder & author behind Sir Rocha Says. A local food & drink blog dedicated to helping our community discover new experiences. My core mission is to help others fall in love with Rochester. I’m a self-proclaimed experiential explorer and food lover. Anthony Bourdain is my spirit animal and one day I hope to be a miniature version of him, just a less cynical, shorter, Vietnamese version. Being surrounded by the people I love most. I’m super close with my family and get to snuggle with my baby nephew whenever I want. I also have an incredible group of friends who encourage and inspire me to no end. One of the best parts in living here is being able to witness the evolution of Rochester – we’re seeing explosive growth in our city and culture here. Love seeing our local food and drink scene start to get the recognition it deserves. Sure am. My story is unique is in terms of how I landed in Rochester. My parents grew up in Vietnam originally and had to make a life changing decision in the aftermath of the Vietnam War. At that time, my father was captured into a communist labor camp and when he was released, he fled on a fishing boat with my mom and oldest sister. They found refuge in Malaysia until they were sponsored by 2 families in Rochester, NY to start their lives over again. Crazy story, right?! I’m very proud of my roots and to be alive and well here in Rochester. At this point in my life, I get the benefit of traveling far and wide for work, but always coming back to the place I know as home. What is your favorite local company/organization? Do you have any Rochester gems you’d like to share? I’m really impressed with what Roc Girl Gang is brining into the community. Sarah Knight is a visionary and has created a platform for women entrepreneurs from various backgrounds to celebrate in each others achievements and bring awareness to the talented women we have in our community. It is empowering and exciting to see all the connections her platform has created. Pursuing my passion and making it a reality. Building a personal brand from the ground up. Casting a positive light on Rochester with my blog. Continuing to do things that stretch me and scare me, (e.g. my first TedxTalk, leading a social media workshop, speaking to over hundred people on how to grow your blog, etc.). The biggest accomplishment I would say is always being true to myself and never wavering from that. How did you discover your passion that inspired you to start up Sir Rocha Says? From a personal side, I’ve always been intrigued by the food and drink world and had an appetite for learning new things. Sir Rocha Says was built off 3 aspects of my life: my Vietnamese heritage, supporting small and local business in Rochester, and being a trusted resource amongst my friends. The name is spelled the way it is as hybrid of a whimsical tribute to my Vietnamese roots and love for sriracha, coupled with sharing the love for local (Rochacha). I wanted to share that being a ‘foodie’ does not always equate to fine dining or the trendiest food trends. I also wanted to move people away from the stigma that there is nothing to do in Rochester. There is PLENTY! The blog is a fun and approachable way to celebrate the awesomeness of our local food and drink scene. What’s the long-term goal for your blog/brand? Since the blog’s launch in October 2014, the blog has grown substantially and I’ve been able to secure a pretty robust following within our community. I’ve expanded the blog and have been able to monetize via magazine publications, speaking engagements, leading dinner tours/experiential events, sponsored promotions and so forth. Recognizing that its only 2 years old, there’s still a lot to do and more to grow. Long-term I would like to convert the blog into a more scalable business and build a Sir Rocha Says team. I can also envision building an e-course or branding workshops that help empower others on their creative journey. The sky is the limit! Our local Rochester Community. We have so much talent here within Rochester, visionaries, young entrepreneurs, makers, doers and people who are looking to move Rochester forward. I’ve been fortunate to be meet and learn from many of the movers and shakers in Rochester. Trust the detours in your life. For some, they know right away what they want to pursue and have their career path mapped out. For many others like myself, you find it over time. I didn’t wake up magically one morning and say I’d like to be a market researcher and blogger. I discovered my path through every learning experience and when I found what made me feel most alive, I pursued that path until it became my career. You may not have found it yet, but stay passionate and relentless and you’ll get there. What other Rochester young professionals should we be on the lookout for? Keep your eye on my girl Nicole Kazimer aka Hello Yoga Girl (HikYoga.com). She’s a good friend who I met in graduate school. We both got our MBA’s together at the Simon Business School – University of Rochester (MBA ’13). She’s also built her brand from the ground up and bringing something new and different to Rochester and the yoga community with her immersion of hiking and yoga. She’s a rockstar! Another one to watch is Carolyn Stiles, founder of Rochester Beer Gals, a women’s beer tasting group. Not only are we joining forces on a local brewery guide that is set to launch end of March, but her dedication to the local community and advertising prowess (she works at Partners & Napier) makes her a standout. Header Photo by Emily Patten for Roc Girl Gang // Location: Makers Gallery & Studio.